Faulty household appliances, such as washing machines, tumble dryers and fridge-freezers, are causing more than 60 fires every week, a new Which? investigation has found. Our analysis, looking at fire data obtained through Freedom of Information requests, reveals that the number of fires has stayed at a similar level for five years, with malfunctioning kitchen appliances reportedly causing close to 16,000 potentially deadly fires across the UK since 1 April 2012. The tragic Grenfell fire – started by a fridge-freezer – raised critical questions about the safety of millions of household products, but Which? believes government action to keep potentially dangerous goods out of people’s homes falls woefully short of what is needed. We’ve written to ministers this week, giving them 90 days to publish an action plan for the new Office for Product Safety and Standards, launched last month. The move forms part of our ‘End Dangerous Products’ campaign, launched today, calling for fundamental reform of the UK’s antiquated product safety regime to keep dangerous products out of our homes. Support our campaign to End Dangerous Products. We can reveal that there were 6,206 household fires caused by faulty appliances and leads between 1 April 2014 and 31 March 2016. Fires caused by faulty washing machines and tumble dryers account for more than a third (35%) of this overall number, meaning these two appliances cause more than 20 fires per week on average. Other high-risk appliances for the same period include cookers and ovens (11%), dishwashers (10%) and fridges, freezers and fridge-freezers (8%). The data also reveals a number of brands that cause concern. A number of these brands questioned the reliability of our statistics – in particular the fact that the Fire and Rescue Service statistics are not based on any forensic analysis and cannot be considered as definitive or certain. You can read more about our methodology below, but we think that the fire officer’s initial assessment as to the likely cause is the best available indicator, and it is on that which our analysis is based. Hotpoint was linked to more than a third (34%) of the dishwasher fires that occurred between 1 April 2014 and 31 March 2016. These were fires linked to faulty appliances and leads, and where the brand was identified. Euromonitor figures reveal Hotpoint’s estimated share of the dishwasher market was less than 12% in each of the last four years. Indesit was linked to 10% of dishwasher fires that were linked to faulty appliances and leads, and where the brand was recorded, over the same period. Euromonitor puts Indesit’s market share at around 6%. Beko was linked to a quarter of refrigeration fires that occurred between 1 April 2014 and 31 March 2016. These were fires linked to faulty appliances and leads and where the brand was identified. Euromonitor’s estimates put Beko’s market share at around half of that. Hotpoint was linked to nearly one in five (17%) fires in refrigeration appliances that were linked to faulty appliances and leads, and where the brand was recorded, over the same period. Euromonitor puts Hotpoint’s market share at around 10%. Hoover was linked to 12% of tumble dryer fires that occurred between 1 April 2014 and 31 March 2016. These were fires linked to faulty appliances and leads and where the brand was identified. Hoover told us its market share averaged 10.2% in these two years. 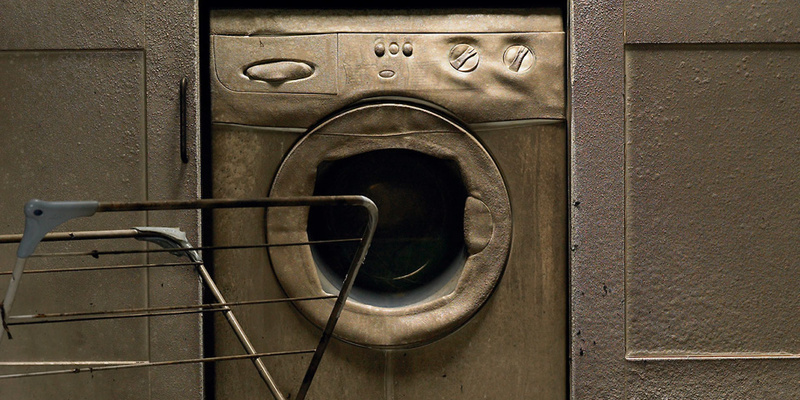 Hotpoint was linked to almost a third (31%) of fires in tumble dryers that were linked to faulty appliances and leads, and where the brand was recorded, over the same period. Which? estimates Hotpoint’s share of this market at no more than 25%. Haier was linked to 6% of washing machine fires that occurred between 1 April 2014 and 31 March 2016, were linked to faulty appliances and leads, and where the brand was identified. Which? estimates Haier’s market share at closer to 1%. Hoover was linked to 12% of fires in washing machines that were linked to faulty appliances and leads, and where the brand was recorded, over the same period. Hoover told us its market share averaged 8% in these two years. Hoover and Whirlpool (which owns both the Hotpoint and Indesit brands) criticised our methodology and findings. Hoover also stressed its commitment to appliance safety and said that it complies with all safety laws. Haier told us that the affected models are no longer being made and that it has improved its safety standards and takes customer safety very seriously. Beko disputed the basis of our claims and has since provided Which? with information that suggests it is taking positive steps to tackle safety concerns. It says that it was not aware of any instance where a Beko refrigeration appliance manufactured since 2007 has been proven as the cause of a single fire. We’re calling manufacturers and retailers to immediately remove unsafe products from the market and consumers’ homes. We’re concerned that without stronger national action to keep dangerous products out of our homes, the situation will get worse when the UK leaves the EU. Peter Vicary-Smith, Which? chief executive, said: ‘It’s shocking that there are more than 60 house fires every week in the UK because of faulty appliances. 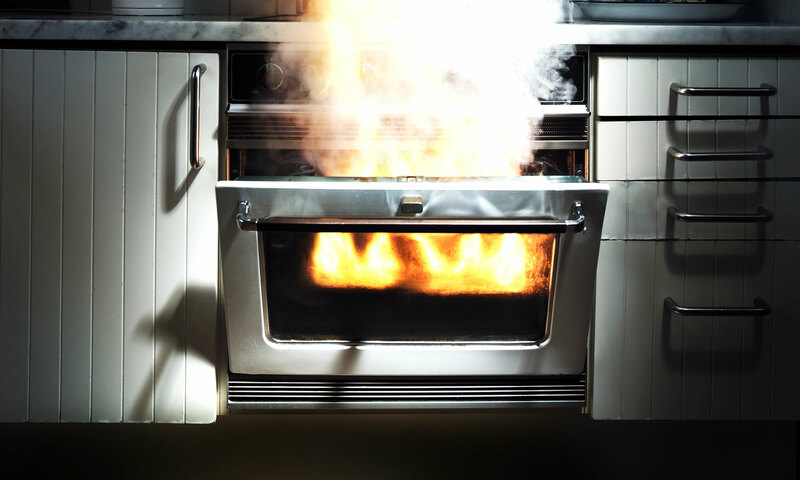 People will be undoubtedly worried to hear our findings that some of the most common household appliances represent a disproportionate risk of causing a fire due to being faulty. Has the safety system failed you? Tell us about it. Freedom of Information data was gathered from the organisations responsible for collating UK fire statistics: the Home Office, the Scottish Fire and Rescue Service and the Welsh and Northern Irish governments. The data we received reveals the number of fires deemed to have been caused by faulty household appliances or appliance leads between 1 April 2014 and 31 March 2016. These two years were chosen for analysis because more recent data was incomplete, and data for previous years has already been analysed in the July 2015 edition of Which?. The figures we analysed do not take into account the severity of the fire (they include incidents of smoking components as well as actual fires), nor the age of the appliance that was deemed to have been the cause. The fire officer records the most likely cause of the fire in their professional opinion, based on information available to them at the time. The cause is not forensically investigated and it therefore cannot be considered as definitive or certain. For higher-risk appliance types, we have also highlighted instances where we think that a brand’s proportion of fires is significantly higher than its share of the UK market by volume (ie the total number of sales rather than the total value of sales). For dishwashers, fridges, freezers and fridge-freezers, we’ve used market share data from reputable market research provider, Euromonitor. For washing machines and tumble dryers, we have used our own estimates that are based on our own expertise, along with Euromonitor’s assessment of the laundry appliance industry as a whole and in some cases, where it is provided, the manufacturers’ own estimates. Fires for which the brand was unidentified were excluded from our analysis. A number of brands have questioned the reliability of the statistics (pointing to the lack of forensic certainty), but we think that the fire officer’s initial assessment as to the likely cause is the best available indicator, and it is on that which our analysis is based. Do you back our campaign to end unsafe products?